Paul Masson has nice wood? Huh? Where was I, again? 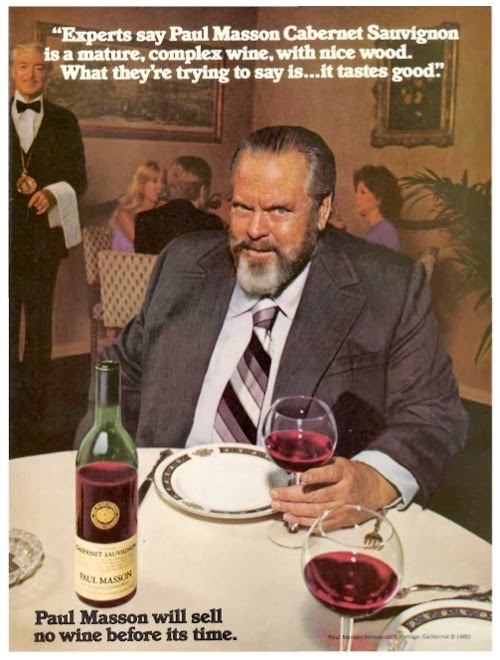 Oh yeah...if you grew up as a kid in the late 70s or early 80s then you may remember the television commercials that Orson Welles did for Paul Masson wine with the famous tagline, "We will sell no wine before its time." Well, judging by the looks of this amazing clip of outtakes I stumbled upon yesterday (that made me laugh so hard I went through 3 or 4 tissues) Orson was definitely drinking something before his screen time. Paul Masson champagne is fermented...and so is Welles. One can only imagine what was going through the heads of the two actors in the scene with him. Welles, however, was hitting the hooch hard on something other than Paul Masson. He pitched the winemaker's products for two years, then made the mistake of mentioning on a U.S. talk show that he never touched Paul Masson wine. The company dropped him as a spokesperson...but amazingly, had no problem with him showing up three sheets to the wind to film their ads and miss his cues. Paul Masson replaced Welles with John Gielgud. Welles went on to shill a board game, frozen peas (there's a clip on YouTube of him arguing about the logic behind the advertising copy), photocopiers, and...Japanese whiskey. Looks like he finally got it under control by the time that commercial was made. But hearing "Mwaaaaah haaaaaaa whiskey!" would totally make my day. Someone once said when Welles was walking by on a set: "There but for the grace of God, goes God." His ego was monumental in a town that's known for monumental egos. But by the time these PM commercials were produced, the former boy wonder had become a middle-aged-plus parody of himself. Many scratched their heads wondering what Welles was doing pitching ANYTHING. These are classic though. One of the best goofs of the Seventies: and I don't buy it that he was pulling one over on the crew (that he wasn't truly inebriated) as some have said. 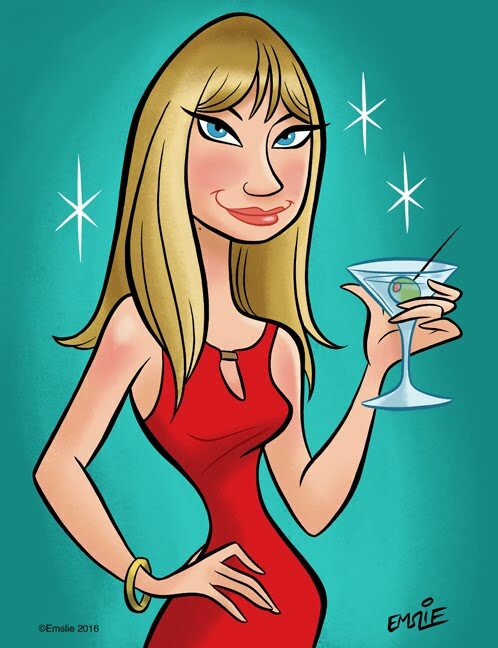 This also has staying power: My wine dealer has made Orson jokes for years when I have included any PM in my order. "He'll drink all the wine, before it's time!" Hyuck, yuck. Seems to be trying to do an Irish accent one would find in a Disney cartoon. Doesn't sound promising, but this guy (through his daughter, interpreting as I live in Germany) told me of the owner having been an autograph hound, travelling the world. Holy smoke! The demon booze has turned many a Mercury into a clay-footed buffoon. By the bye, I do dislike your little "prove you're not a robot" thing which I never get right the first time.You would never have heard from Orson!